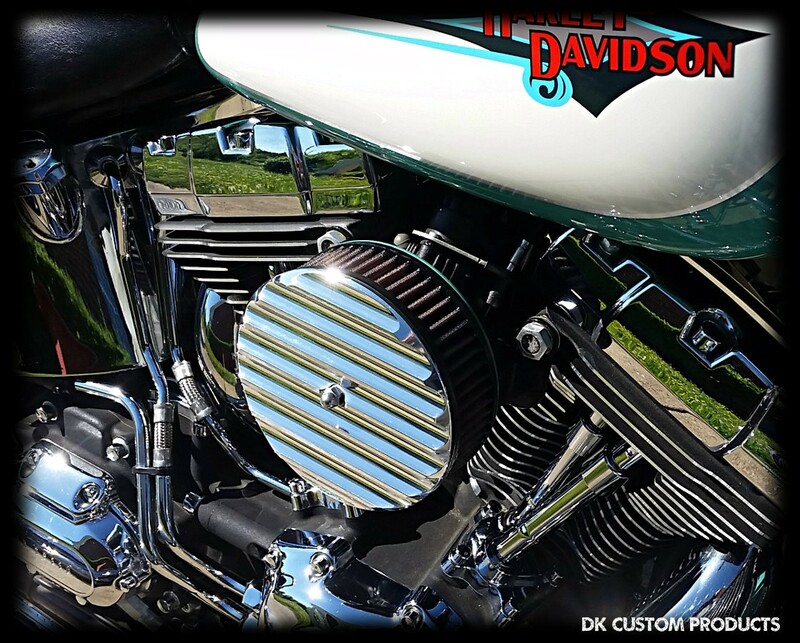 Harley Davidson Forums - Heavy Breather Air Cleaner Covers Peg/Brake Fitment Issue. Heavy Breather Air Cleaner Covers Peg/Brake Fitment Issue. Edit: Screwed up the title, should've mention the bike. 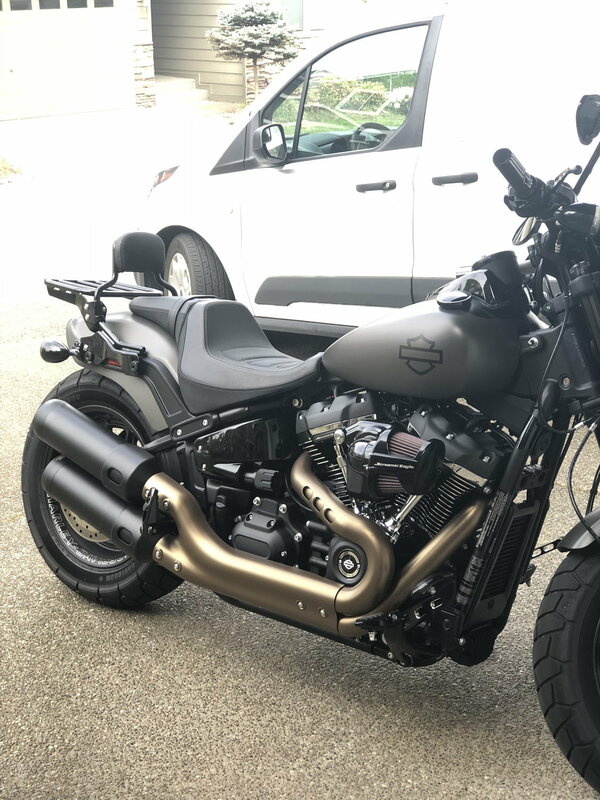 2018 Fat Bob. I suppose I'll be trying to find a more "low profile" cleaner. What are you guys running? 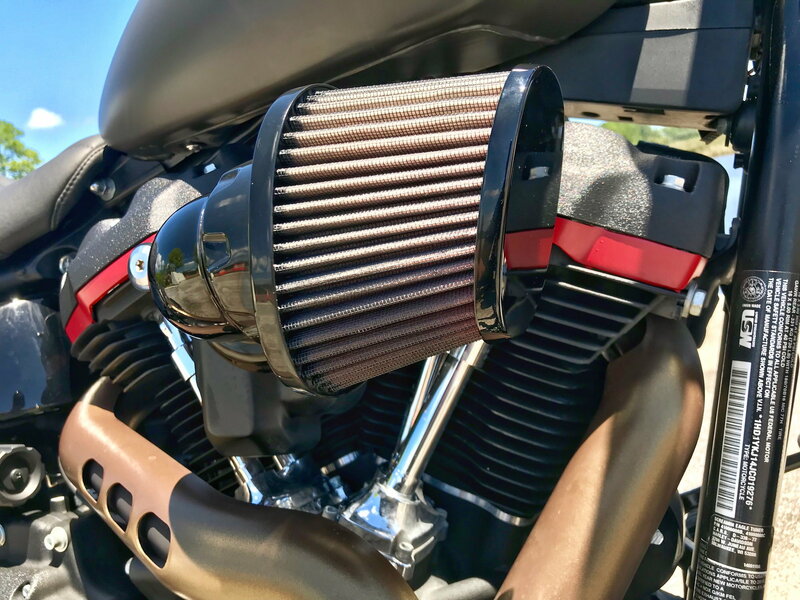 Well, I’m running a Heavy Breather on an ‘18 Low Rider. Mid controls so interference isn’t a problem. I was torn between it and the SE Extreme Flow. Matter of fact, I had the Exrreme Flow and exchanged it for the HB. 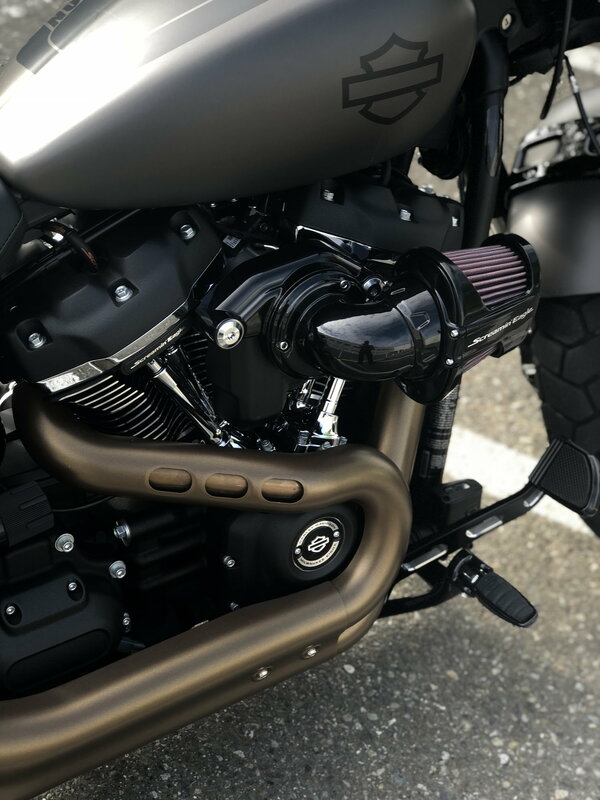 So, if you’re sticking with Harley parts maybe check it out. It appears to have a low profile yet an aggressive look to it. Get peg and brake pad extensions. That's the route I took when I put the spike (that I removed) on. 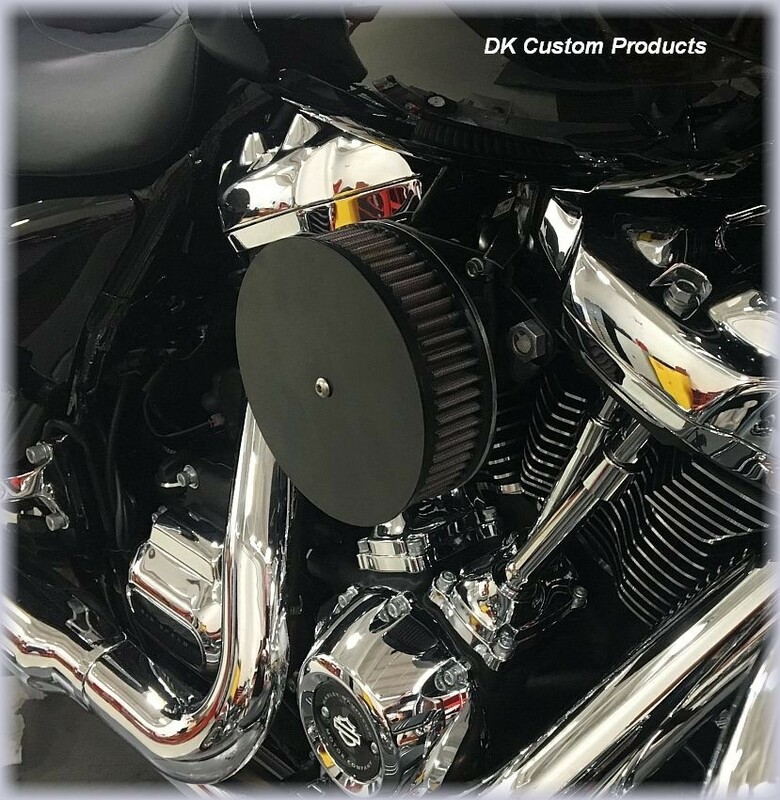 The Outlaw 587 is the Lowest Profile Air Cleaner you can get. It is also a top performer. 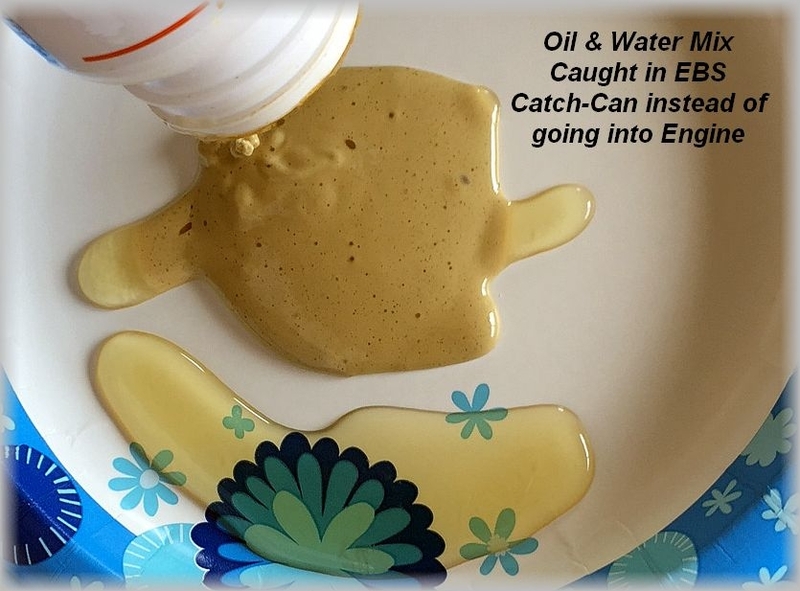 No nasty, hot, oily, oxygen depleted air going into your engine to reduce performance & engine longevity. Comes with a huge variety of cover options. And how does this help him with his spike issue exactly???. Thank you for all of the suggestions guys. Unfortunately I want to maintain factory warranty so aftermarket A/C's are out of the question. I checked out the extension kit, but I still feel like my leg resting on the bend of the cleaner would drive me wild. I think I am going to swap it out for a Ventilator cleaner. Hopefully I can recuperate $300.00 from the heavy breather to cover the cost of the Ventilator! A Ventilator, which does not have an EBS is only going to increase the likelihood of needing to use your warranty. 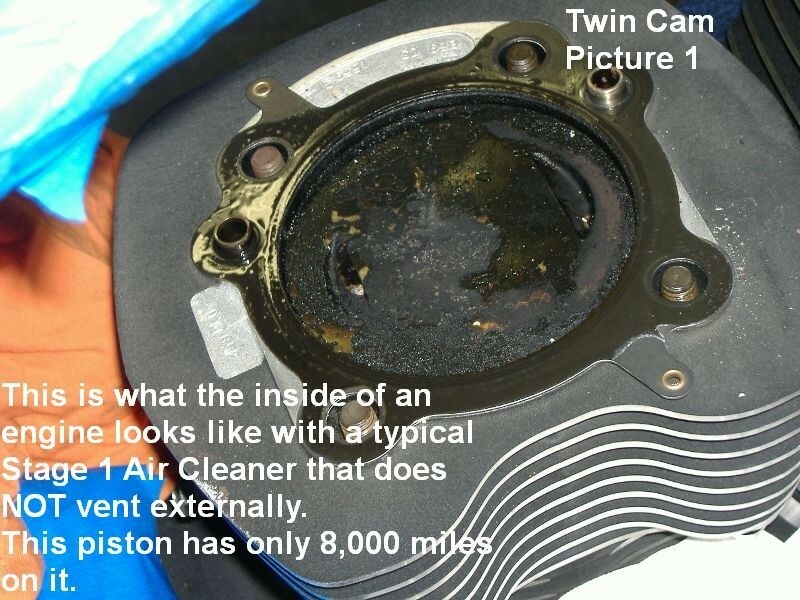 We have thousand of folks running our aftermarket A/C's that have a warranty, never heard of one of them having their warranty voided because of it...BUT, if you are concerned about that, just remove it if you ever need to go in for warranty work. 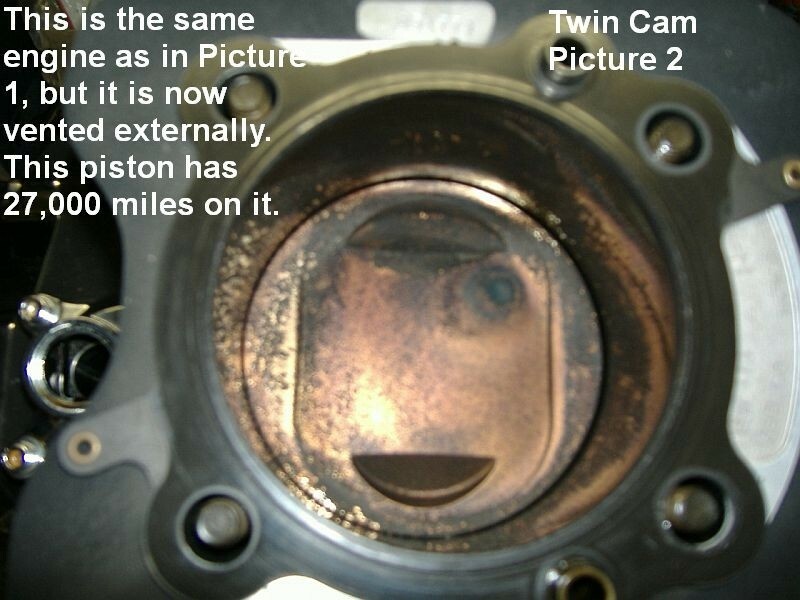 Why compromise performance and engine longevity for a worry of what may happen when you can spend 30 minutes making it a completely non-issue? Read more about External Breather Systems HERE.